At this time the land would have been dug up for crop farming during both World Wars. 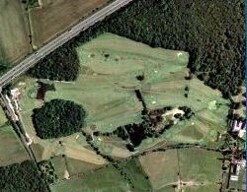 Before this, in the Victorian period (1837-1901) there was a 9 hole golf course on the land. 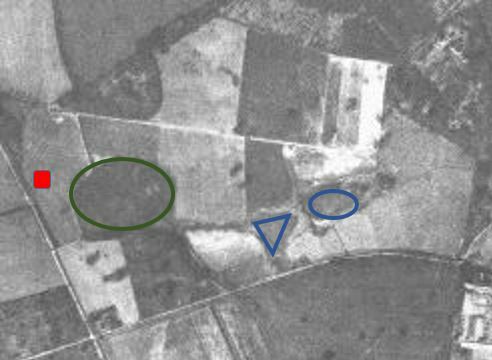 You can still make out the tree lines and some of the roads as they are today. The woods were originally part of Windsor Great Park. Martin Hawtree is given the job of reinstating the course and we think you’ll agree that he did a great job. 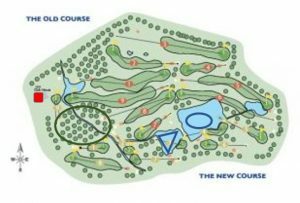 Sunningdale, Royal Birkdale, Ballybunion and Trump International are some of the other courses that Mr Hawtree had a hand in desgining/ redesigning. Luke Donald’s round with Mark Crossfield in 2016 proved that from the white tees our course is challenging enough to stop professionals tearing it apart while being very playable for amateurs. The elevated, small greens on our par 3 holes are particularly challenging. 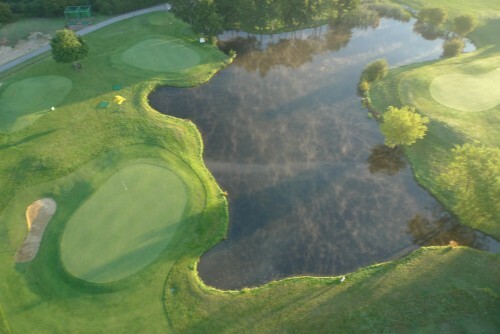 This picture shows the newly built Par 3 course in the lower half of the picture. 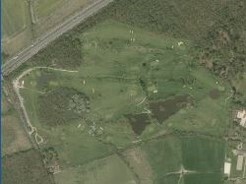 The clubhouse which was built in 2004 is in the top left of this picture. 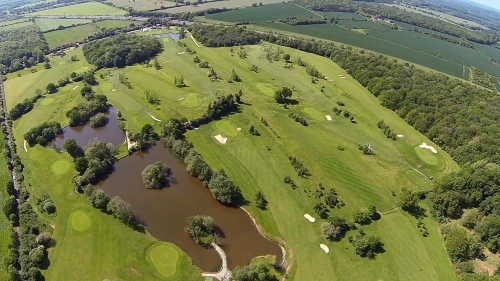 Come and enjoy one of the best kept courses around. 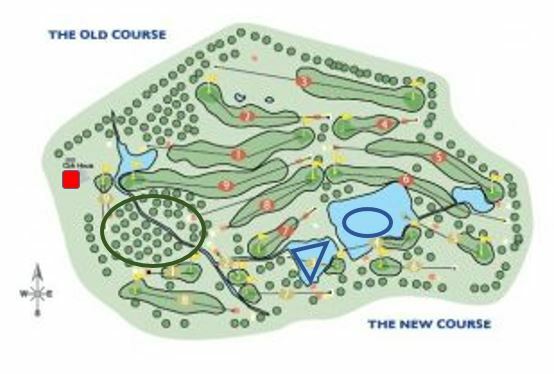 The land that Billingbear Park Golf Course is on, was originally part of the land of Billingbear House. Billingbear House, Berkshire, pictured here in 1669. When the house was visited by Cosimo III de’ Medici, Grand Duke of Tuscany and Lorenzo Magalotti in 1669, their host was Colonel John Neville. A member of the duke’s retinue painted a view of the house during the two-day stay, which is one of various images to be found in an illustrated manuscript in the Laurentian Library, Florence. An English translation of this manuscript was published in London in 1821; Indian ink copies of the original 17th-century paintings, by Thomas Hosmer Shepherd, were reproduced as scaled-down engravings for inclusion in this publication.